All apprenticeship standards now include behaviours as well as knowledge and skills. 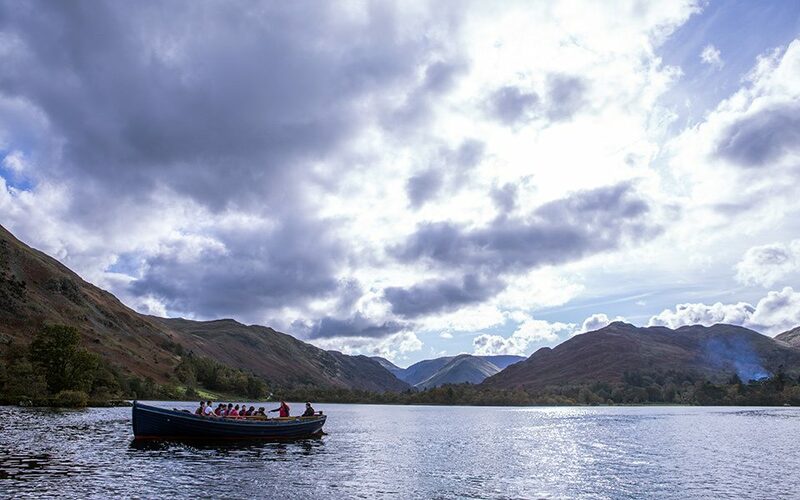 At Outward Bound, we believe that the best way for your apprentices to learn and develop new behaviours is through experiential learning - not in a classroom or online. And we're not the only ones. We are the behavioural development partner of choice for many of the UK’s top apprenticeship employers. If you are an employer, training organisation or FE provider and would like more information on how Outward Bound can partner with you to deliver the behaviours listed in your apprenticeship standards please contact us using the form below. It's compulsory. And it's giving lots of people a headache! Are you making the most of it? Does Outward Bound count towards 20% off-the-job training? Yes. Off-the-job training must account for at least 20% of the apprentice’s employed time. This requirement applies to apprenticeships at all levels. Off-the-job training is defined as learning which is undertaken outside of the normal day-to-day working environment and leads towards the achievement of an apprenticeship. 20% off-the-job training requirement is measured over the course of an apprenticeship (as opposed to over an academic year). Off-the-job training must teach new knowledge, skills and/or behaviours that will contribute to the successful achievement of an apprenticeship. Outward Bound residential programmes typically last 3-5 days and most commonly count as 50 hours training towards this requirement. Can I use my apprenticeship levy to pay for behaviour development? Yes. You can use funds from your account to pay for knowledge, skills and behaviour training needed to achieve an apprenticeship. Levy funds can be used for the training elements of an Outward Bound programme. Our programmes are 90% fundable from the levy. Can I use Outward Bound as a subcontractor? Yes. You can use Outward Bound as a subcontractor. We will work with you to deliver behavioural skills. Employers and main providers can use multiple training providers, you don’t have to just use one. Outward Bound are registered as a main provider on the Register of Apprenticeship Training Providers (RoATP) because we work with over 3,000 apprentices a year. Employers can only use funds in their account to pay for training providers who are listed on the RoATP. The Outward Bound Trust are listed on the RoATP. Outward Bound is residential - is accommodation covered by the levy? No - although the residential aspect is critical to the learning on an Outward Bound programme, this is not fundable through the apprenticeship levy. Our accommodation costs benefit from Outward Bound's charitable rate, but these costs must be paid for by the employer or main provider. Typically they make up 10% of your total training fee - the remaining 90% is fundable through the levy. Can I use the levy to pay for graduate development? No – however level 6 (degree level) and level 7 (masters level) apprenticeships are being approved. This indicates that employers could choose to rethink their graduate programmes allowing the flexibility to use funds from your account for all early careers development. In a bid to achieve three million apprenticeship starts by summer 2020, the government has changed the way apprenticeships are delivered and funded in England. Since April 2017 all employers with a pay bill of over £3 million a year have paid 0.5% of that as an apprenticeship levy. These levy payments are protected for the provision of apprenticeship training. For more info about the apprenticeship levy visit gov.uk. Apprenticeships are a devolved policy elsewhere in the UK, if you are based in Scotland, Wales or Northern Ireland or don't pay the levy but are interested in including an Outward Bound programme as part of your apprentices' training please contact us using the form above.